Just drop Toni a line at the link below, mentioning the convention you are interested in! CONVENTION NAME, CITY & DATE IN THE SUBJECT LINE OF ALL CORRESPONDENCE. A separate email is required for each show you wish to volunteer for. A separate email is required for each person volunteering. All volunteers must be 21 yrs or older. 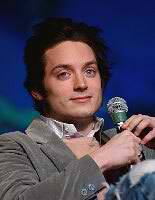 Pretty Cool we'd say to have welcomed the ultra talented Elijah Wood as Creation promoted several Official LORD OF THE RINGS events. We can't wait to do it all again for the new films! COME ON DOWN FOR THE FUN! SCHEDULE OF EVENTS NOW POSTED! Join celebrity guests and fellow fans in honoring Gene Roddenberry's enduring legacy of a positive future for mankind as Creation Entertainment brings The Official STAR TREK Convention: The Celebration of the 45th Anniversary to the wonderful and welcoming city of VANCOUVER, BC. 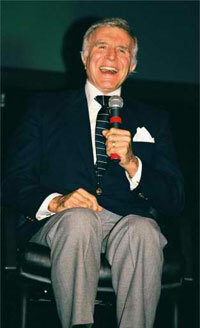 Adam Malin, co-CEO of Creation Entertainment, stated "Gene was a mentor and invaluable supporter of our conventions for many years and our appreciation of his and Majel's support is the foundation upon which we continue to love running Star Trek Conventions." This Vancouver weekend will feature a fantastic array of Star Trek stars, non-stop events, parties, contests, panels, music, performances, autographing, photo ops and some amazing extra surprises! We are terrified happy to announce the live appearance of representatives of The Klingon Empire: Gowron and Martok and The Duras Sisters! The Klingons, after an extended period of talks and as yet unexplained disappearances of human negotiators, have agreed to appear at this convention provided they are treated with honor and dignity. 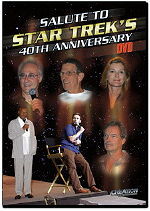 Make your plans NOW to be part of the fun as the 45th Anniversary of Star Trek only happens once in a lifetime! American and Canadian currency will be accepted at the convention, as well as most popular credit cards. It is indeed a pleasure to welcome one of our all-time favorite ladies, the lovely and talented Ms. Nichols, back to Vancouver to celebrate the 45th Anniversary of her first appearance in the legendary and history making role that means so much to all of us. Join us to bring down the house for Nichelle! Star Trek: The Next Generation's Admiral Mendek of Data's Day and Tokath of Birthright: Part 2, Star Trek Voyager's Augris of Resistance. Alan will be on hand at a table in the vendors room on Saturday to meet fans, sign autographs for a nominal fee and offer some cool photos. 2/16/2011: We were advised that Brent Spiner is unable to attend the convention. We are currently seeking to replace his appearance. Those that have separate Brent photo op tickets can exchange them for a voucher at registration good for any other tickets or Creation merchandise. 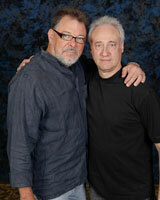 Or, if you prefer, you may mail your voucher back to us for a full refund for this photo op ticket. 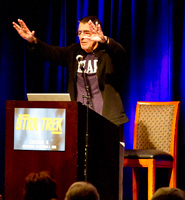 Make sure to be on our STAR TREK / SCI-FI e-mail newsletter list to get announcements about STAR TREK / SCI-FI events! One of our favorite things about The Official STAR TREK Convention is the performance extras that we are able to offer thanks to the talent and generosity of our celebrity guests. 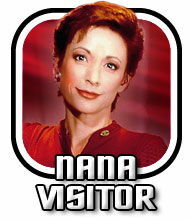 Our mandate for the 2011 convention tour is to get as many of these unique live performances as possible for our attendees and we are THRILLED to announce that RENE AUBERJONOIS and NANA VISITOR will be reunited on stage to perform a play for us entitled CROSS OUR HEARTS: Poems and Prose Read by Nana and Rene. While we are all familiar with Rene and Nana's television work, both have starred on Broadway and we're delighted to welcome them to Vancouver to appear in the regular Q and A format but more importantly to perform for our audience live on SUNDAY! Long-time assistant to Gene Roddenberry, joins us with a new presentation honoring the original series' 45 year history. You'll get amazing insights into Trek legend and lore while also discovering interesting facts about the original cast members, Roddenberry, and the development of some of the famous original series episodes. Yes we have convinced Gowron and Martok to appear (in full costume) as special honored guests at this amazing event that is limited to a select (and brave) group of fans! This continental breakfast is not part of any ticket package and must be ordered separately. THE PRICE FOR THIS LIMITED AVAILABILITY SPECIAL EVENT IS ONLY $39 EACH! Don't miss the fun! John Paladin is a former radio Disc Jockey, has had two records on the country charts, has acting credentials in radio commercials, TV commercials, and movies. His makeup expertise goes back over 10 years, including being J.G. Hertzler’s personal makeup artist on “Star Trek: Of Gods and Men” and being the head special sfx makeup artist on “Star Trek: Kitumba” [ both productions from “Star Trek: Phase II” Productions]. 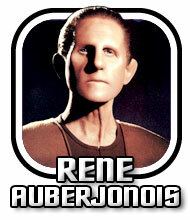 He is also featured as a Klingon in “Kitumba”. On Saturday, see John's special on-stage makeup demonstration and get great makeup tips for your costume character. The makeup demo includes a basic description of making yourself into a Klingon as John transforms a willing victim from human to Klingon. John takes questions from the audience as he completes the makeup transformation. His presentation is unique, informative, and always entertaining. 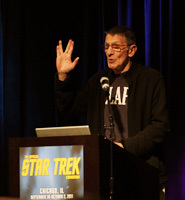 His specialty is “Klingons” and when you see Lursa, Gowron, Martok and B'Etor in person… you’ll know why. 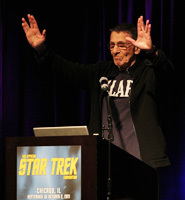 Who out there is a "master of trivia" when it comes to 45 years of Star Trekkin'? It is time to put that Trek-watching to profitable use by showing off in our fast-paced live gameshow where the last person standing goes home a big winner. 90 players from our audience are selected so start cramming now! Another way that fans can show off their love of the shows we're honoring is by entering our famous themed CENTERPIECE CONTEST! This event takes place at our COCKTAIL PARTY (SATURDAY Evening) and is for Gold Members attending the event this weekend! Create the very best centerpiece that touches the hearts of our judges and the themes of the convention and you might just win a special $250 Gift Certificate! Just be "GOLD" and bring your entry to the party and that's all it takes to enter! Celebrity guests to tentatively include: GEORGE TAKEI, NICHELLE NICHOLS, BARBARA MARCH, GWYNTYH WALSH, NANA VISITOR & RENE AUBERJONOIS. This party is gonna be "off the hook" and a truly wonderful benefit of being "gold"! Rules: one music video about STAR TREK may be submitted on DVD only (please no computer-based media like CD accepted). PLEASE USE ONLY NTSC FORMAT FOR YOUR DVD. Entries are judged on the following criteria: video quality, audio quality, editing quality, inventiveness, song selection, and originality. Humorous submissions are encouraged. Entries can not be returned, and person submitting entry is granting Creation the right to play this entry in perpetuity at Creation events worldwide and/or on line at the Creation website(s). Creation does not sell music videos so your entry will never be sold as a commercial product, just presented at our events/on line. Winners will receive a $100 gift certificate good for Creation products. Winners will be announced and certificates awarded on site; if you are not present we will mail the certificate to you so be sure to include your return address, phone number and e-mail. You may email our offices at sharon@creationent.com to confirm receipt of your entry but we do not announce winners until the event. All entries are due at Creation offices by May 13th, 2011 with no exceptions. Thanks and good luck! 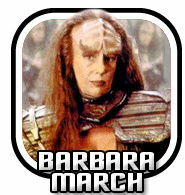 STAR TREK VANCOUVER BACKSTAGE VIP PASSES: Will be available at the convention on a first-come, first served basis. Pre-registration (not a necessity, just a convenience) is generally offered for weekend patrons on the night prior to the convention. This will be confirmed and noted on this site as we get closer to the event. Rod Stewart/Stevie Nicks in concert: $37.50 (obstructed views) to $319.85, The Glee Concert $65 to $139 for concert, $295 to $495 for VIP experience, Cirque de Soleil shows on the road, generally $103 to $124, UFC Fights: $86.15 to $838.30, greatseats for a baseball game: $90, Andrea Bocelli in Concert: $143.90 to $399.95, Spiderman on Broadway $67.50 to $150, Disneyland Tickets: $79. 1) The absolute best reserved seats in the main theatre where all our major guests appear! These seats are YOURS, come and go for all three days! Great for photographers too! 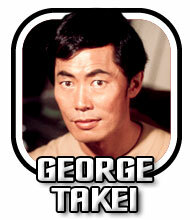 2) Complimentary in-person autographs with amazing guests including NICHELLE NICHOLS, GEORGE TAKEI, J.G. HERTZLER, GWYNYTH WALSH, ROBERT O'REILLY, BARBARA MARCH, RENE AUBERJONOIS, NANA VISITOR, CONNOR TRINNEER, and DOMINIC KEATING. That's right: you get all these in-person autographs when you "GO GOLD"! The value of these autographs alone is a great portion of your package price, so you can see what a great deal GOLD WEEKEND PACKAGES TRULY ARE!!! 4) Complimentary admission to our SATURDAY evening STAR TREK CELEBRITY COCKTAIL PARTY & CENTERPIECE CONTEST! 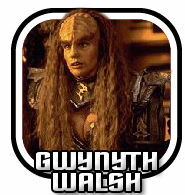 Also awesome fun: relax and enjoy with fellow fans from around the globe and featuring super-celebrity drop ins from: GEORGE TAKEI, NICHELLE NICHOLS, BARBARA MARCH and GWYNYTH WALSH and DS9 superstars RENE AUBERJONOIS & NANA VISITOR! his party is gonna be "off the hook" and a truly wonderful benefit of being "gold"! 6) Wristband access: we have special color coded wristbands and collectible lanyard credentials for GOLD Package Holders: once you get set you don’t need to wait again! 7) Admission to the vendors room. 1) Great reserved seats in the main theatre where all our major guests appear! These seats are YOURS, come and go, all weekend! Your seating is located to the rear or sides of The Gold Weekend Package Holders. 2) Complimentary in-person autographs with FIVE great guests including NICHELLE NICHOLS, CONNOR TRINNEER, DOMINIC KEATING, NANA VISITOR, RENE AUBERJONOIS. This is an amazing deal because if bought separately these autographs would cost $105! Note: this list is tentative and subject to change. 3) Pre-Registration Fun: we get you set for the weekend before other patrons and give you first crack at the exclusive merchandise! 4) Wristband access: we have special color coded wristbands and collectible lanyard credentials for Preferred Package Holders: once you get set you don’t need to wait again! 5) Admission to vendors room. 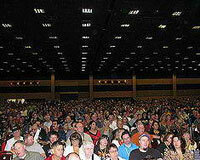 Here is the most economical way to attend all three daytimes of the convention. You get to see all the guests and events in the main theatre from a non-reserved seat and of course you get admission to the vendors area. This option does not include autographs which you can order separately below. Here is the best way to attend any one or two days of the convention. You get a reserved seat in the theatre where all the guests appear and events take place and you also get admission to the vendors area. This option does not include autographs which you can order separately below. This is the most cost effective way to attend any one day of the convention. You get to see all the guests and events in the main theatre from a non-reserved seat and of course you get admission to the vendors area. This option does not include autographs which you can order separately below. Autograph and Photo Op Tickets do not include admission to the convention. 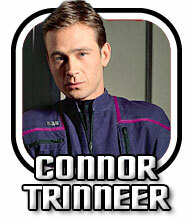 You must have an admission ticket for the convention in order to redeem autograph and photo op tickets. Here is the incredibly rare chance to get an in person, non-rushed autograph from the sensational stars of STAR TREK. These stars will sign any item you bring from home or buy at the convention. 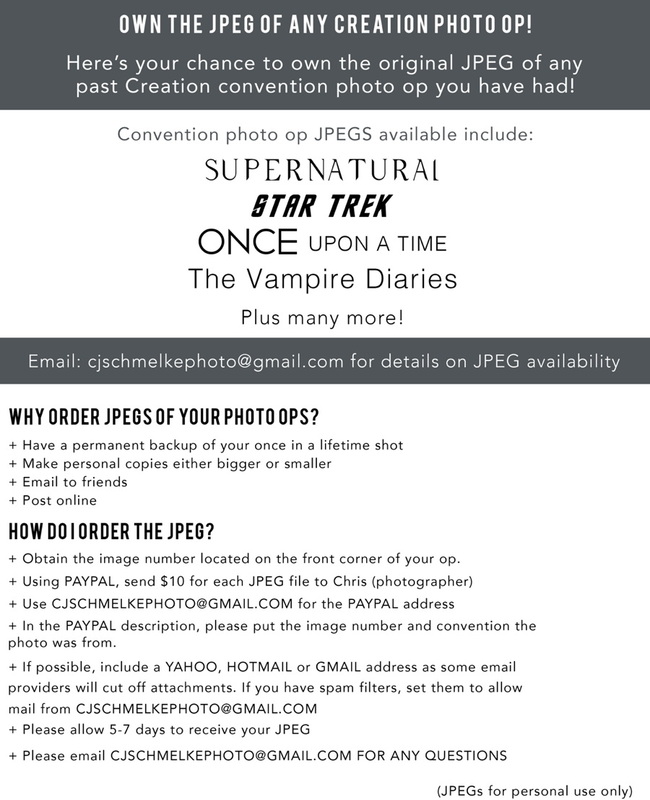 There will be tons of great photographs and other collectibles available at the convention that will be suitable for signing purposes. If you have autographs included in the ticket packages you have purchased and you want more than one autograph per celebrity you can purchase them here and then get all your signatures from that celebrity at the same (first) time you are called up. Note: George is signing on a complimentary basis for GOLD Patrons Only. Do you have the guts to get your photo op with Lursa and B'Etor? 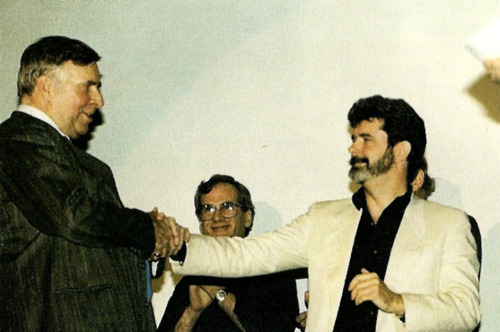 Pictured here with their make-up artist John Paladin. Backstage VIP passes are available which lets you hang out backstage and also gets you first in line for any event you have a ticket for. Limited to TEN fans we have some seats available at $300, please see registration for availability. 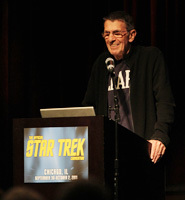 2:25 pm Audio-visual presentation honoring Star Trek's 45th Anniversary, hosted by Richard Arnold, long-time assistant to Gene Roddenberry. Richard joins us with a new presentation honoring the original series' 45 year history. You'll get amazing insights into Trek legend and lore while also discovering interesting facts about the original cast members, Roddenberry, and the development of some of the famous original series episodes. 4:30 pm Star Trek and Genre No Minimum Bid Auction: Here is your chance to pick up bargains galore in this fast paced event! Don't miss the chance to go home a winner! 6:00 pm Star Trek Yes/No Game: $1750 in gift certificates is up for grabs if you know it all about all things Star Trek! Be in the audience to play! 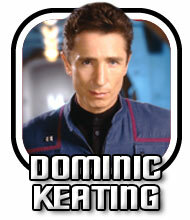 6:50 pm Autographs with Dominic Keating and Connor Trinneer complimentary for Gold and Preferred Weekend Patrons (we will call you by row number) followed by those with autograph tickets (available at registration for $20 each) which we will call by number. 10:35 am Richard Arnold, long-time assistant of Gene Roddenberry, continues his 45th Anniversary of Star Trek presentation: don't miss this! 12:30 pm B'Etor & Lursa (Gwynyth Walsh and Barbara March): The deadly Duras Sisters represent The Klingon Empire in an area first! 1:15 pm Star Trek "Stump The Experts" Trivia Contest: Prizes and gift certificates are yours for the taking if you are really an expert on 45 years of all things Star Trek! Be in the audience to participate please! 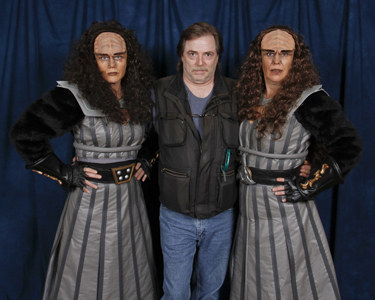 ----- 1:40 pm FIRST TIME IN CANADA: Photo Ops with THE DURAS SISTERS AND YOU! Guard yourself for this rare chance to stand beside these Klingon warriors and live to tell about it after. Tickets, in limited supply, are $59 each! 2:40 pm Star Trek & Sci-Fi Media No Minimum Bid Auction: tons of cool stuff can be yours if your bidding wins! Don't miss this as we have GREAT items and they are sure to go for fantastic bargain prices! 4:30 pm John Paladin Character Make-Up ON STAGE: John is a former radio Disc Jockey. His makeup expertise goes back over 10 years, including being J.G. 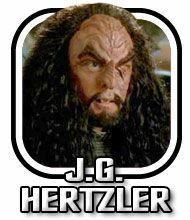 Hertzler's personal makeup artist on "Star Trek: Of Gods and Men" and being the head special sfx makeup artist on "Star Trek: Kitumba" [both productions from "Star Trek: Phase II" Productions]. At this presentation you will see John's special on-stage makeup demonstration and get great makeup tips for your own costumed characters. The makeup demo includes a basic description of making yourself into a Klingon as John transforms a willing victim from human to Klingon. John takes questions from the audience as he completes the makeup transformation. His presentation is unique, informative, and always entertaining. His specialty is "Klingons" and when you see Lursa and B'Etor in person, you'll know why! 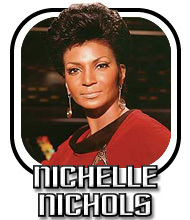 On ONE SIDE OF THE THEATRE: autographs with Nichelle Nichols, who will be signing on a complimentary basis for Gold and Preferred Weekend Patrons (we will call you up row by row) followed by those with autograph tickets (called by number) available at registration for $25. On THE OTHER SIDE OF THE THEATRE George Takei, Gwynyth Walsh and Barbara March will be signing on a complimentary basis for Gold Weekend Patrons (called row by row), followed by those with autograph tickets (which we will call by number). Autograph tickets are available at registration for $25 for George and $20 for Gwynyth and Barbara. 9:00 pm Celebrity Cocktail Party and Centerpiece Contest with George Takei, Nichelle Nichols, Nana Visitor and Rene Auberjonois, Barbara March, and Gwynyth Walsh. Featuring The Star Trek Centerpiece contest offering a $250 gift certificate to the very best entry. Cameras are permitted when the guests first enter the room. Then we ask that your cameras are put away so the guests can have a great time too! THIS EVENT IS EXCLUSIVE FOR GOLD PATRONS ONLY! 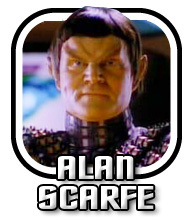 EXTRA ADDED SATURDAY GUEST IN THE VENDORS ROOM: Alan Scarfe Star Trek: The Next Generation's Admiral Mendek of Data's Day and Tokath of Birthright: Part 2, Star Trek Voyager's Augris of Resistance. Alan will be on hand at a table in the vendors room on Saturday to meet fans, sign autographs for a nominal fee and offer some cool ifsms including his book. 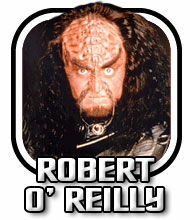 9:00 am Sunday Continental Breakfast with The Klingon Celebrities: GOWRON AND MARTOK, direct from The Klingon Empire. Tickets for this limited attendance event are only $39 each. Please check at registration on Friday an Saturday for availability. 11:20 am Star Trek Trivia Competition: Stump The Experts Part Two: the final chance for YOU to win prizes by putting all that Trek watching to monetary use! Just be in the audience to participate! 12:30 pm The Final STAR TREK and Sci-Fi Media No Minimum Bid Auction: the bidding is fast, the action fierce: get your share of super great collectibles including our famous banners, all up for grabs at low, low bargain prices! 2:30 pm STAR TREK QUESTIONS AND ANSWERS WITH RICHARD ARNOLD: Here's your chance to get all your Star Trek news updates and get any and all questions answered from the world's leading Trek authority who worked for Gene Roddenberry for 15 years! 3:20 pm IN PERFORMANCE: Cross Our Hearts: Poems and Prose read by Nana Visitor and Rene Auberjonois. Welcome Broadway stars Rene and Nana in the Canadian premiere of this cool theatrical show. Kindly refrain from coming and going during this performance, and please make sure to turn cell phones off. ON ONE SIDE OF THE THEATRE: Nana and Rene are signing on a complimentary basis for Gold and Preferred Weekend Patrons (we will call row by row) followed by those with autograph tickets (we will call by number) which are available at registration at $20 each. ON THE OTHER SIDE OF THE THEATRE: JG Hertzler and Robert O'Reilly are signing on a complimentary basis for Gold Weekend Patrons (we will call row by row) followed by those with autograph tickets (we will call by number) which are available at registration for $20 each. THANKS FOR BEING WITH US, WE LOOK FORWARD TO SEEING YOU AGAIN SOON!